A heaping helping of timeless tales of Your Friendly Neighborhood Spider-Man! First, Spidey teams up with Falcon to handle an outbreak of futuristic weaponry showing up in Harlem. Then a young Spidey's doing his darndest to find allies in his war against crime, but he didn't count on being matchmaker to two bickering heroes! 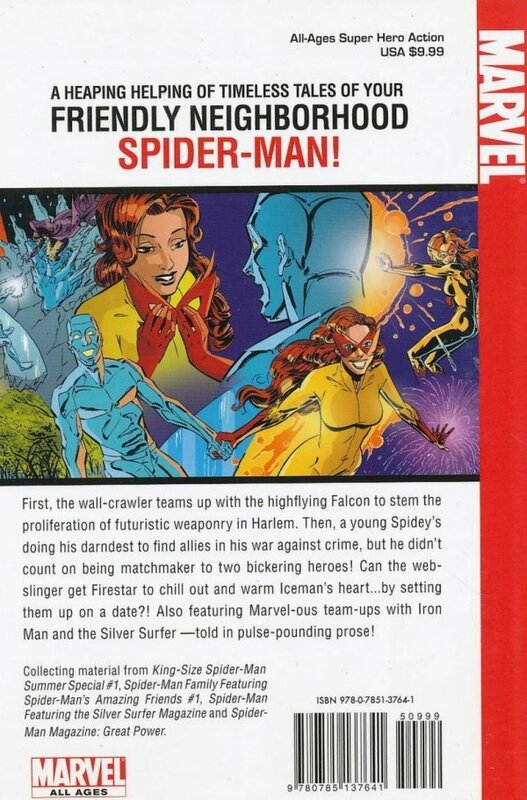 Can the webslinger get Firestar to chill out and warm Iceman's heart...by setting them up on a date!? Also featuring Iron Man and Silver Surfer.